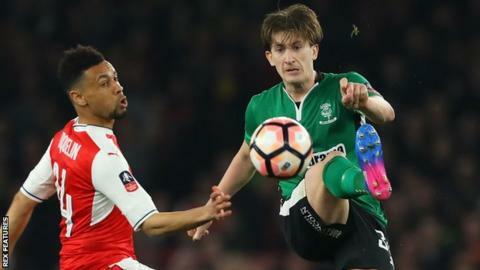 Lincoln City midfielder Alex Woodyard has signed a new contract to stay with the National League leaders until the end of next season. Woodyard joined Lincoln from Braintree on a 12-month deal in June 2016. The 23-year-old has made 41 appearances for the Imps, including seven games during their run to the quarter-finals of the FA Cup. Lincoln are five points clear of Dagenham and Redbridge at the top of the table, with two games in hand.